This ca. 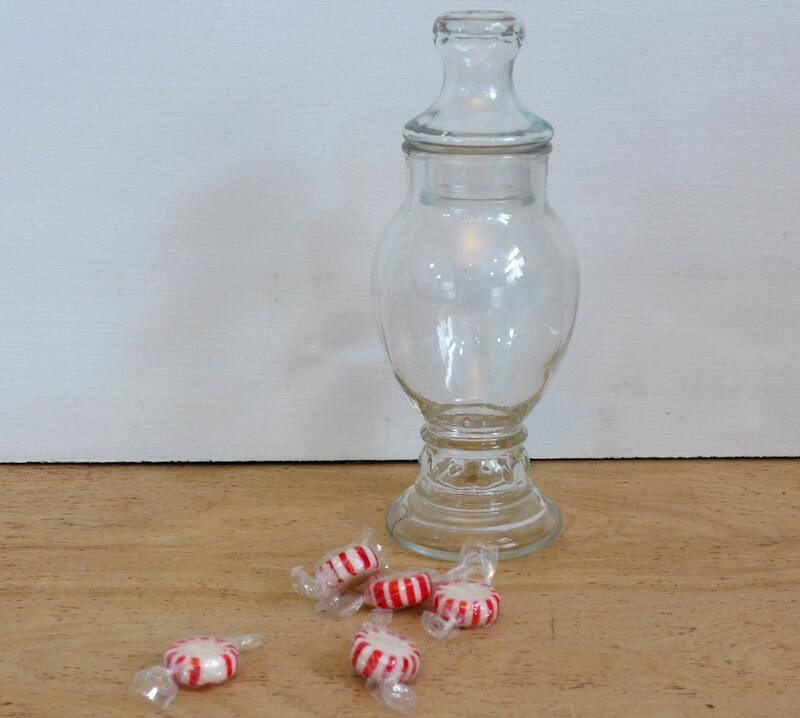 1940-50 Pressed Glass Apothecary Jar with Lid is a Small/Meduim size. 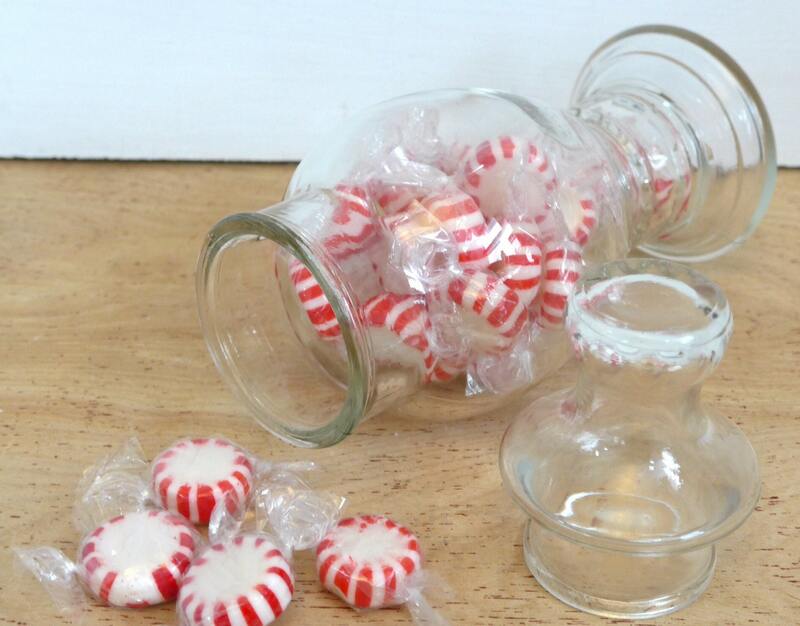 The jar is made of thick pressed glass. 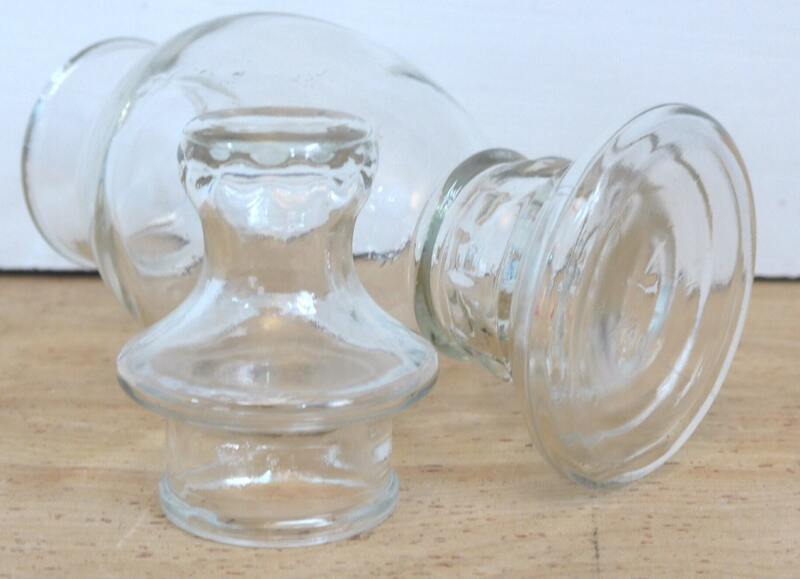 It has a pedestal bottom and a decorative lid. 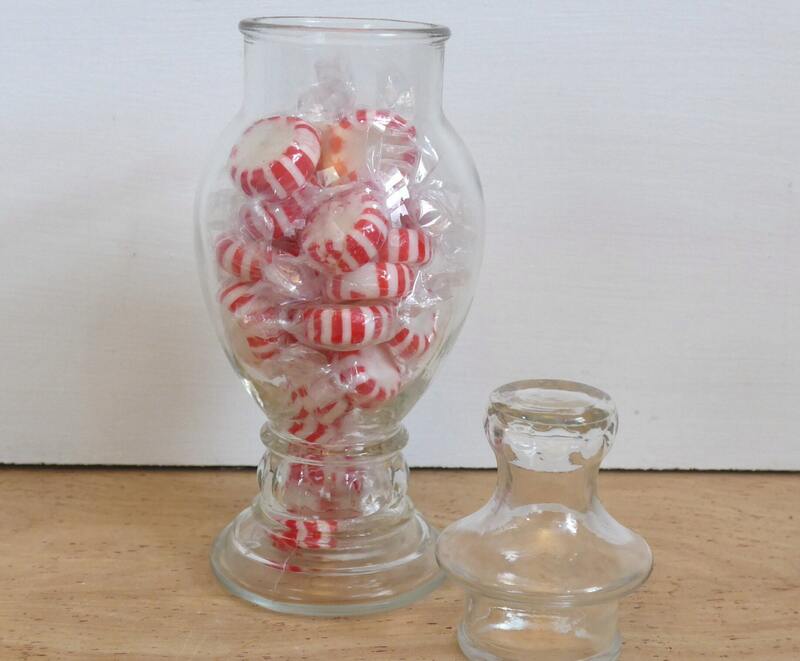 Both are clear glass. Measures approx. 6 1/4" tall; 2 7/8" across the bottom of the pedestal; 2" across the opening with the lid removed. 8" tall with lid on. No makers's marks but has the number 40 on the bottom. Great vintage condition with no chips or cracks. 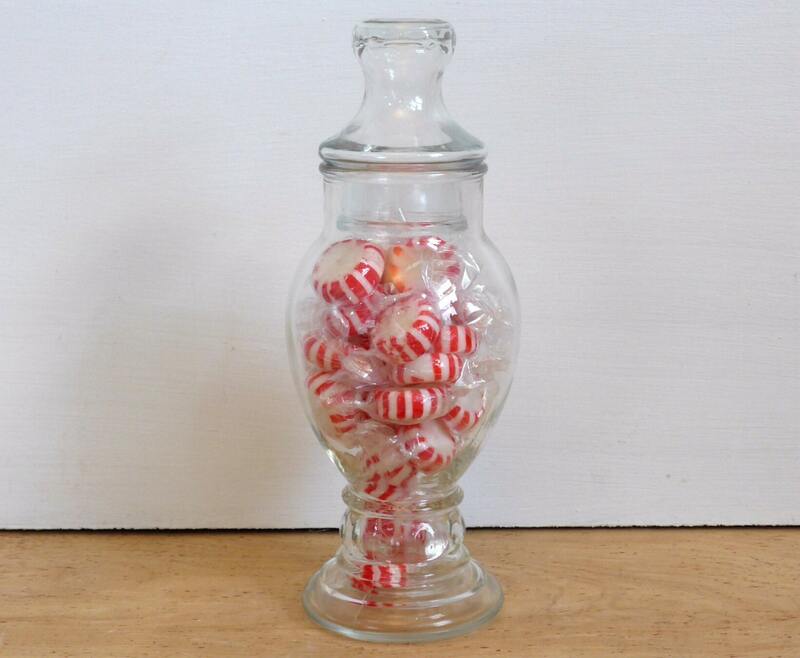 Would make an nice display jar or show jar for a wedding or other special event.